These pre-workout bars contain balanced macronutrients to ensure maximum performance.The perfect pre-workout snack is high in carbohydrates to help top off the body's glycogen levels which will be used in energy production during physical activity. Protein should not be excessive because protein digestion is relatively slow and will not benefit performance right before a workout. Fat should also be low to avoid GI distress which can inhibit performance. Oatmeal and powdered peanut butter like Bell Plantation: PB2 Powdered Peanut Butter, provides a moderate amount of fiber, complex carbohydrates and protein. This keeps the athlete full during the event but will not cause digestive discomfort. Bananas and dried fruit provide simple carbohydrates for quick delivery of glucose for energy. If calories are not of a concern then any regular nut butter that does not contain hydrogenated oil can be used. These energy bars are not exclusive to athletes either. 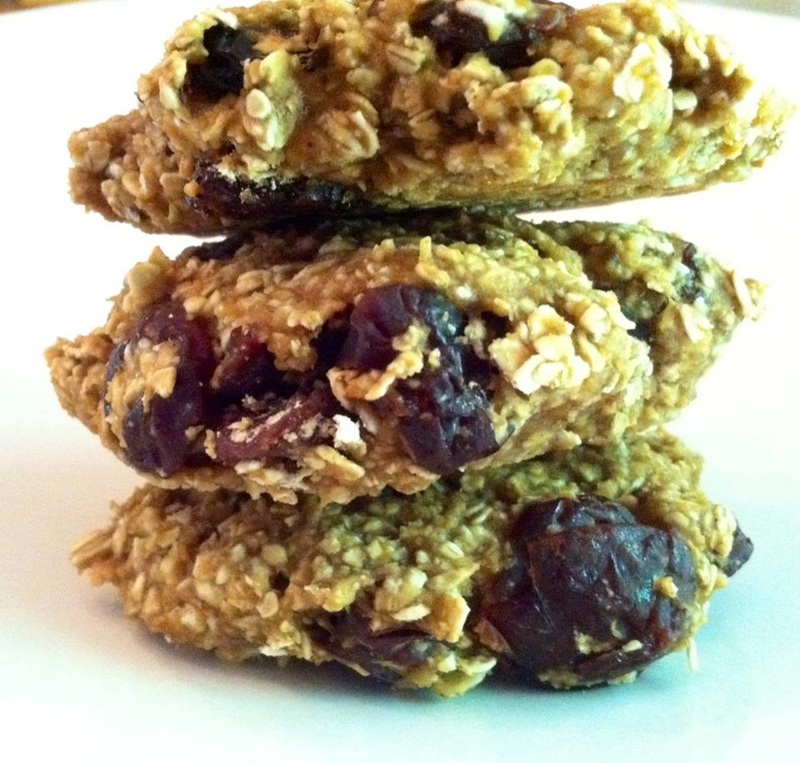 Anyone can enjoy these bars for breakfast or as a healthy snack anytime during the day! Directions: Heat the oven to 350 degrees. Line a baking sheet with parchment paper and LIGHTLY grease with cooking oil. In a mixing bowl combined the remaining ingredients. Using your hands to mix the ingredients together until evenly blended. Form 4 cookie shaped discs and place on the baking sheet and bake in the oven for 15 minutes.